Once described as the most spectacular thing to happen on the Nile along its 6700km length, the 50m-wide river is squeezed through a 6m narrow gap in the rock and crashes through this narrow gorge with unbelievable power. The 45m waterfall was featured in the Kathrine Hepburn and Humphrey Bogart film The African Queen. Murchison Falls was even stronger back then, but in 1962 massive floods cut a second channel creating the smaller Uhuru Falls 200m to the north. There is a beautiful walking trail from the top down the river, and the upper stretch of the path offers views of the Uhuru Falls, which a boat trip will not bring you close enough to appreciate. 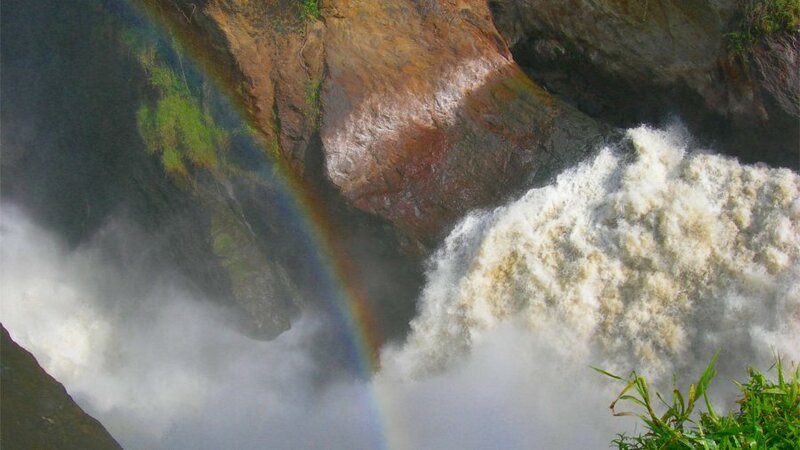 If you take a launch trip in Murchison Falls to the bottom of the falls, the captain will let you off the trailhead and meet the ranger there. This is also a goo way for campers to get to the campsite at the top of the falls before returning to Paraa the next morning. Contact us today to customize your Murchison Falls Safari Tour in Uganda. Send us an inquiry via info@travel256.com or call +256701367970.